Mr. Saltzman joined Adelberg Rudow in January, 2007 as a member with a concentration in the areas of business, commercial and corporate law, banking, civil litigation, estate planning and administration, and taxation. Mr. Saltzman works primarily from the firm’s Howard County Office, where he has been practicing for over 25 years. In July 2012, Mr. Saltzman became Managing Member of the Firm. Mr. Saltzman is a member of the Maryland and District of Columbia Bars, and is also admitted before The Supreme Court of the United States, the U. S. Tax Court, and the U. S. District Court for the District of Maryland. 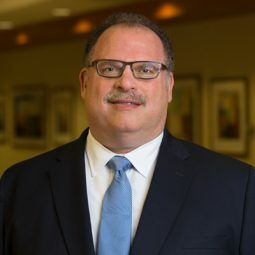 Active in the Baltimore and Howard County communities, Mr. Saltzman is a past chair of the board of directors for the Howard County Division of the American Heart Association and a current member of The Community Action Council of Howard County. He is past President of Temple Emanuel of Baltimore. He is a member of the Board of Directors of the Colleen and Erin Marlatt Scholarship Fund. He was recently named the 2012 Maryland Attorney Advocate of the Year by the Baltimore district of the Small Business Administration. He has been selected to Maryland Super Lawyers for 2013, 2014, 2015 and 2016. Mr. Saltzman earned his Juris Doctor and Master of Laws in Taxation from the University of Baltimore School of Law and earned his Bachelor’s Degree in Political Science from Loyola College. He frequently presents seminars on business formation choices and the federal and state tax consequences thereof and operation of non-profit organizations.